With the prospects finishing up action in the Traverse City Tournament this week, the time has arrived to get cracking on the developing scene down Rockford way. Opening night for the IceHogs is less than a month away, believe it or not. Who will be skating for the piglets in 2018-19. Let’s see if we can figure that out. I’m pleased as punch to be bringing you glimpses of the Blackhawks future from my seat at the BMO for another season. Rockford is coming off a memorable post-season run. Like a year ago, the IceHogs look to be filled with young talent that should be interesting to watch nightly. Once again, don’t look for a lot of grizzled veteran faces under those helmets. Most of the catalysts from the team that reached the AHL’s Western Conference Final are long gone. There are holdovers from that squad, to be sure. That includes a lot of second and third-year players trying to take the next step in their careers. The coaching staff is intact for another go; head coach Jeremy Colliton earned stellar marks for his efforts in his debut with the Hogs. Colliton is again joined by assistants Derek King (back for his third season in Rockford) and Sheldon Brookbank (year two with the IceHogs). Colliton emphasized a high-energy game that proved to be exiting to watch. 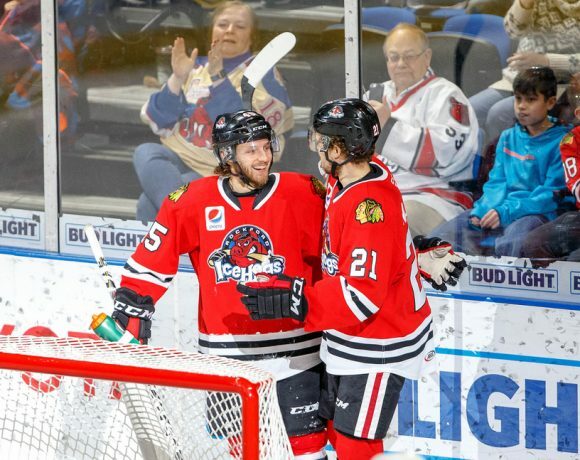 The IceHogs played at a rapid pace and could be counted on to turn in a 60-minute effort. Colliton will be looking to keep moving Hawks prospects toward NHL-level readiness. With the lower half of Chicago’s roster comprised of inexpensive contracts, it is very likely that several players could yo-yo along I-90 in 2018-19. Looking up and down the organization, I have identified players who could be with Rockford for at least a portion of the campaign. I could re-hash the feel good season that went down a year hence; I will steer you here instead for all the juicy details. I also re-capped the play of the goalies, defense, and forwards earlier this summer if you want the low down. Pressing onward, let’s see what the roster could resemble in a few weeks. The first four names on this list are currently on the Hawks roster (per capfriendly.com). I would imagine that the bottom four or five spots are up for grabs. Some of these forwards will move back and forth with some regularity between Chicago and Rockford. Schroeder and Martinsen will have to clear waivers at some point to be assigned to Rockford. Depending on any moves made by the organization, most of the players above will don the Hammy Head sweater for a stretch or two. Ejdsell was very impressive for Rockford in the postseason, while Highmore was the team’s most successful rookie for much of the first half of last year. Martinsen was a steady veteran producer for the Hogs but could find himself in a fourth-line role for Chicago with his size and physical style. I imagine that Schroeder will be in Rockford more often than not, provided he passes through waivers. You’d think Hayden would be able to stick in Chicago full-time, but like several other Hawks prospects he may come down for seasoning or a confidence boost. Johnson’s second season in Rockford was a decided improvement over his rookie year. He took on a leadership role as well as any of the young guys and nearly doubled his point production. He has the makings of a solid two-way NHL forward and might be ready to fill a bottom-six role with another solid performance for the IceHogs. Louis was the team’s top scorer (44 points) in the regular season but seemed to take a backseat to the veterans who joined the team in the spring. He’ll begin the season on a scoring line and needs to take advantage of his play-making skills. These players need to make a splash early this season if they are to remain in the lineup. For one reason or another, the above foursome left a bit to be desired in their first pro seasons. Noel’s campaign was derailed by injury and never really got the chance to show what he could do in Rockford. Fortin lacked the finishing ability that could have won him more playing time. Iacopelli had plenty of offensive clout but couldn’t find a consistent spot in the lineup. Knott, a second-round pick of the Blackhawks in 2015, was a bit underwhelming despite playing 70 games for the IceHogs. He needs to distinguish himself at one area of his game to keep from being passed up by newer talent. Knott captained the prospects at Traverse City: maybe it’s a sign of a better showing for him in 2018-19. For first-year Hogs, this group has a bit of expirience. Kahun comes of of four professional seasons in Germany. He totaled 41 points (12 G, 29 A) in 42 games with EHC Munchen last season. Kahun would have to have a real change of heart to wind up in Rockford. He plans to hold Chicago to a clause that has him returning to Germany if he doesn’t crack the Hawks roster, per Scott Powers of theathletic.com. The 24-year-old Nilsson played for Colliton in the Swedish Hockey League. Maletta had a decent rookie year with the AHL’s Cleveland Monsters two years ago, then spent most of 2017-18 on the injured list. The way Chicago’s roster is comprised, Kruger still looks to have a part to play. However, maybe a younger player (David Kampf, perhaps) steps into the defensive stopper role Kruger was so good at in the past. Maybe a post-hernia surgery Kruger just isn’t the same player of a few years ago. Maybe the Hawks need a little cap space to facilitate a trade. It wouldn’t be unheard of for Chicago to get Kruger through waivers and assign him to the IceHogs. After all, Carolina sent him to the AHL last season. Three of these players could wind up factoring in heavily to Rockford’s fortunes this season. Most prominent on this list is Pelletier, who was a permanent fixture in Colliton’s lineup in 2017-18. Pelletier (14 G, 15 A) was second among IceHogs forwards with a plus-13 skater rating. Despite his 5’7″ frame, he had no problem getting into the mix in the corners. His speed was a huge asset that I have to think Colliton will want on the ice as much as possible. Samuelsson has plenty of AHL experience, as does Broadhurst, who comes aboard for his second tour with the IceHogs. Last season, Broadhurst had 32 points (13 G, 19 A) in 49 games for the Cleveland Monsters. Bondra, who signed an AHL deal a year ago then missed the bulk of the season to injury, may have an uphill battle getting ice time in Rockford. Bondra, along with Welychka and Moynihan, will spend most of their seasons with the Indy Fuel. Welychka is 24 and played eight games for Manitoba last spring. The 5’11” center wore a “C” for his Carleton University squad last season, picking up 12 goals and 19 assists in 28 games. Moynihan, 22, has put up nice point totals in the ECHL the past two years, including 41 points (14 G, 27 A) in 48 games with Kalamazoo last season. He was scoreless in an 11 game stint with Utica. Provided that players like Highmore, Sikura, Johnson and Louis take their games up a notch, coupled with better and healthier seasons from Fortin and Noel, Rockford is perhaps a bit more talented up front than the group that began the 2017-18 season. Quick adjustments to North American rinks by Nilsson and Kahun (if he was convinced to take the assignment) could be a big x-factor for the Hogs. A lot of Rockford’s 2017-18 blue line will be elsewhere this fall. Depending on how many defensemen Chicago elects to carry to start the season, Colliton could be using four or five rookies on the back end on a given night. 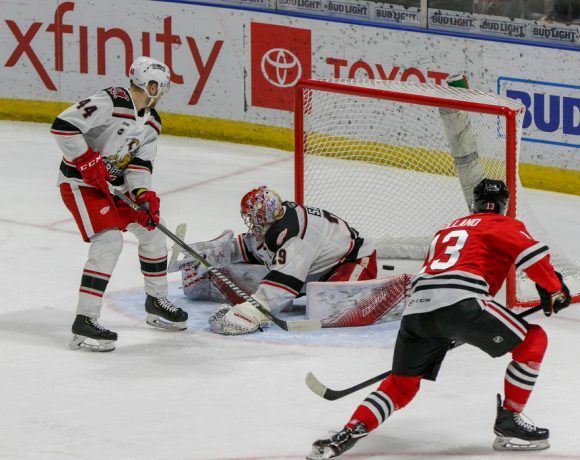 The defensive corps that propelled the IceHogs deep into the playoffs has been scattered to the winds. Cody Franson? Gone (KHL). Adam Clendening? Gone (Blue Jackets). Viktor Svedberg? Gone (PTO with Calgary). At this point, I would think Carl Dahlstrom is in the mix for a roster spot in Chicago. Gustav Forsling isn’t due back from surgery until at least November. Robin Norell was loaned out to Djurgårdens IF of the Swedish Hockey League last month. The 30-year-old journeyman has ten seasons of professional experience under his belt. Most of that has been spent in AHL rinks with Manchester, Portland, Toronto and Tuscon. He has 43 games played in the NHL, most recently with the Maple Leafs in 2015-16. Campbell was a part of this summer’s trade of Marian Hossa and all the folks that were included in said deal. His role should be very well defined in Rockford. He will likely spend the entire season helping to raise a full littler of piglets. He should be well-equipped to handle a leadership role for Colliton. Campbell has worn a C for three different clubs. He isn’t a big offensive threat, though he did have a couple of 20-point seasons for the Marlies a few seasons ago. Campbell plays a steady game and can use his 6’4″, 207-pound frame in a physical manner when needed. He rarely drops the gloves (13 AHL scraps in ten seasons), but that isn’t a factor considering Rockford did fine without a pugilist last season. I am not analyzing this move from the perspective of Campbell’s usefulness to the Hawks. As an AHL veteran leader, he more that fits the bill. If Dahlstrom somehow winds up in Rockford for a third full season, good for the Hogs. The way the depth chart looks on defense, however, I don’t see how he doesn’t occupy at least the seventh d-man spot in Chicago. As previously mentioned, Forsling won’t be in action for a few months. That leaves two Hogs coming off their rookie seasons. Raddysh, who was a regular in the lineup and saw action in the playoffs, and Snuggerud, who wasn’t…and didn’t. To be fair, Snuggerud was injured for several stretches and did put up 17 points (5 G, 12 A) in the 40 games in which he played. A healthy 2018-19 could see him take on a bigger presence for Rockford. Raddysh, who earned an NHL entry contract for his efforts last year, and Snuggerud will have competition for playing time, with all the rookies joining the organization. Training camp should reveal if any of these players crack the Hawks roster. For now, I will assume that all five will be in Hogs sweaters come October. Rockford fans got a look at Tuulola at the close of last season. He also skated in four playoff games for the Hogs. Gilbert (Notre Dame) and Hillman (Denver) arrive from the college ranks. Carlsson crosses the pond after time in the Swedish Hockey League. Jokiharju put up 71 points (12 G, 59 A) for Portland in juniors; I am laboring under the impression that he is eligible to play AHL hockey despite his age. With all the new prospects on defense, Norell was not going to get much in the way of playing time. For the third and final year of his entry contract, Norell will skate in Europe. There won’t be much room for the two defensemen the Hogs signed, either. Most of their skating will be done in ECHL rinks for the Indy Fuel. Manning, 27, has two years of pro experience in Italy after a four-year college career at the University of British Columbia. McArdle, who hails from Rockton, Illinois and skated in the Junior IceHogs program, was signed following his college career. The 24-year-old McArdle was the team captain for Brown last season. It would be fun for the BMO faithful to see him skate a few games for the Hogs, plus he’s a right-handed shot (see below). Unlike the last few seasons, this is not going to be an experienced group. Nor will there be many right-handed shots (Raddysh and Jokiharju by my count). Young defensemen tend to make mistakes. The positioning and decision-making learning curves will dictate how well Rockford performs on this side of the puck. Here’s where things get interesting. So much of the picture hinges on the availability of Corey Crawford. If, as many speculate, the Hawks number-one net-minder is not ready for training camp, the organizational pecking order is pretty clear, if not entirely settling. If Crow is ready to roll, the Hogs tandem will be in question. With Crawford and Cam Ward the planned-upon pair in Chicago, one would wager that Anton Forsberg begins the season with the IceHogs. To do this, he would have to clear waivers. Rockford carries three goalies on its roster. Either Delia or Lankinen is sent to Indy for steady playing time. I guess Chicago could carry three goalies (Crawford, Ward and Forsberg) and the Delia-Lankinen alliance go proceed as scheduled. (Crazy thought: would it be completely insane to think Crawford could be sent to Rockford at some point for a conditioning assignment if he isn’t ready for camp?) 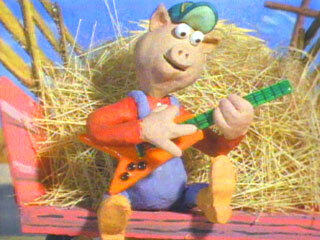 That also means that the Hogs would be assigned another player to make room for the extra goalie. Barring injury or trade, the only sure things I see are Ward with the Hawks and Matt Tomkins (Rockford’s AHL signee) in Indy to man the pipes for the Fuel. Should Forsberg be assigned to Rockford, the Hogs will have a more-than-capable AHL goalie. That is, so long as his attitude is right following what amounts to a demotion. Delia could be looking at 40-50 starts in net for the IceHogs if things break his way. Last spring, he was very good. His challenge is to maintain his late-season standards for a full slate of games. Delia is also likely to be fending off higher-percentage shots due in part to a less-experienced defense in front of him. If he can accomplish this, his stock in the organization should continue to rise. Lankinen, 23, was signed to an entry deal this spring. He posted a 1.33 GAA for HIFK Helisinki in the Finnish Ligua after returning from an injury. The Hogs net could be without at least one veteran presence for the first time in a good while. With no Michael Leighton or Jeff Glass to lend a steady glove between the pipes, Colliton will need to establish the confidence of both his young goalies. Consistency may be the biggest hurdle for whatever combination of players Rockford showcases in net. I’ll save my predictions for the season for next month when the roster picture clears up. It’s safe to say that right now, the IceHogs will be a prospect-loaded bunch comparable to last season’s group. Get yourself ready for my many takes on the happenings in Rockford this season by following me @JonFromi on twitter. I’ll try to keep you abreast of transactions and upcoming opponents throughout the piglets journey through the next eight or nine months.